Main Uddin: Line System (in Assam), Line system was a system introduced in Kamrup and Nagaon District of Assam for the first time in 1920 under which the Muslim immigrants from East Bengal, more particularly from Mymensingh District, were required to settle in certain areas of the Brahmaputra Valley of Assam. It is mentioned that the immigration process of East Bengal to Assam was started in the last decade of the 19th century but it took office when the Bengal was divided and Assam came to Dhaka’s administration in British era. Delivering a lecture on ‘The Line System of Assam: Implications and Consequences’ at the Vivekananda Kendra today, Prof Mohammed Taher dealt with the complex issue through the lens of a social geographer. In his speech as moderator, Prof Sunil Pawan Baruah, former head, Department of History, B Barooah College, said that the Line System of Assam was such a critical issue that it had to be discussed broadly before formulating any Act related to land policy. Prof Taher observed that gradually the immigration created conflicts between the indigenous and the migrant population of the area, and finally in 1920, in response to the demand of indigenous people a system known as the ‘Line System’ was introduced in the present-day districts of Barpeta, Morigaon and Nagaon in order to prevent migrants from settling or occupying land, and subsequently the system was extended to other parts of the valley. But the system was not effective as expected. Prof Taher said that later the steps were taken by the Provincial Government (1937) also did not show any positive result due to the lack of sincerity. In October 1939, this issue of Line System was brought to the Assam Legislative Assembly but failed to get proper attention from the members of the Assembly. As a result, the socio-political situation of the region had already been altered to a large extent by the beginning of the 1940s, he added. The latest issue of Quest – Dimensions of Freedom Movement was also released on the occasion by Prof SP Baruah. The chairman, DK Barthakur, welcomed the audience while Prof DC Baroowa, director, Research Advisory Council, introduced the guests and informed the gathering about the background to the lecture series on land policy. The administrative reorganisation of Assam into a Chief Commissionerhip in 1874, added about twentyfour lakhs of people to the existing total of about fifteen lakhs. Of this, the Muslims numbered 11,04,601 or 28.8 percent. But in the Brahmaputra Valley, there were only 1,76,109 Muslims total. 74 in an ordinary year, the production was estimated to about 135 lakhs of maunds of rice of which 27 1/2 lakhs were exported, the remainder being consumed in the district. Of the total population of 23,51,695, eighty percent were agriculturists, ten per cent professionals, three percent fishermen, three point eight percent labourers and one point two percent followed hereditary occupations. This short account of the district would clearly show that any further pressure on land which was inevitable with the increase of population, would create a situation to escape from which, the farmners would have to seek new outlets. Of the total population of 39,15,068 in 1900, 27,95,548 (i.e.. about sixtyseven per cent) were Muslims and 10,88,857 were Hindus.7 It would thus appear that in case of any large scale migration, the bulk of the migrants would be Muslim farmers. In the Census of 1901 no one from Mymensingh was recorded in Assam. The Census Commissioners of 1891 and 1901 were of the opinion that the people of Bengal would not come to Assam as cultivators as there was no inducement and recruitment as in the case of the tea gardens. “Curiously enough, despite Bengal’s longstanding congestion of population and scarcity of land, the mass migration of Bengalese into the Valleys of Assam did not start until after 1900”. The next decade witnessed the beginning of large scale immi-gra tion of Muslim farmers from Mymensingh. The economic cause was, however, obvious. A detailed diagnosis was made by the “Bengalee” on 22 July, 1924 publishing an article entitled ‘Bengal Peasants – Stream of Emigration to Assam’. It wrote that the density of population in Eastern Bengal had reached a saturation point and emigration was solving the problem of acute congestion. The western part of the district of Goalpara including South Salmara, Lakhipur and Bilashipara was the earliest and most affected. The number of immigrants till 1881 was 49,059. The population of the district increased by one point four percent during 1881-91 and two percent during the next decade. But between 1901 onward, the men of Mymensingh advanced to Goalpara in large numbers. The decade witnessed a natural population growth of fifteen point six percent. The number of immigrants rose from 49,059 to 1,18,233 forming nineteen point seven percent of the actual population of Goalpara. The Census Report of 1911 was the first document on the extraordinary influx of farmers to the chars (River Island) of Goalpara from the Bengal districts of Mymensingh, Pabna, Bogra and Rarngpur. Soon, almost all the available lands of Goalpara found suitable by the immigrants were covered. It was during the next decade that these Muslims spread to other districts of lower Assam and the colonists formed an important element of the population in all the four Lower and Central districts. These Muslims, almost without exception farm labourers and cultivators, came at first as single adventurers. But by the next decade, the colonists began to settle by families and not singly. It was reported that the men generally came first to secure the land and build houses and then the families followed. In 1911, the total Muslim immigrants numbered 2,58,000 in the Brahmaputra Valley and 6,000 in the Hills.10 In Goalpara, they formed nearly twenty per cent of the population. The next favorable district was Nowgong where they constituted about fourteen percent. In Kamrup, they rapidly took up lands especially in the Barpeta Sub-division. During this decade, the settlers had not explored much of Darrang district and did not penetrate far from the Brahmaputra banks. But as the inflow continued and their number increased, they expanded further up the valley and away from the river. They the next decade, the settlers numbered 3,48,000 in the Valley. (iv) villages where both the immigrant and indigenous people could settle. There was no set principle under which the line was drawn. After it was enforced in Nagaon district, where the immigrants constituted 14 percent of the population, it was implemented in Kamrup and Darang, where a rapid demographic change had been noticed as a consequence of large immigration. [It may be noted that these districts were dissected to constitute several districts in the post-colonial era.] Census 1931 gave a threatening note: ‘By 1921 the first army corps of invaders [immigrants] had conquered Goalpara. The second army corps which followed them in the years 1921-31 had consolidated their position in that district and has also completed the conquest of Nawgaon. The Barpeta subdivision of Kamrup has fallen to their attack and perhaps made the introduction of the line system in these districts. It was found that the immigrants started occupying forest reserves and wasteland without any resistance Darrang is being invaded. The alarm thus raised led to the introduction and retention of the line system in the aforesaid districts. 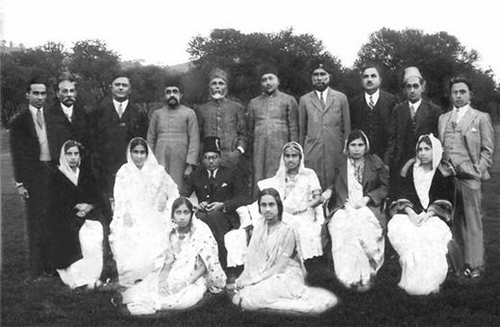 With the introduction of the Government of India Act 1935, the dynamics of election politics started playing a role in providing a political space to the immigrants through the effective lobby. Maulana Abdul Hamid Khan Bhasani became a strong political voice for the immigrants who got elected from Dhubri (South) constituency of Assam in 1937 and continued to be the MLA till the Partition. Another important voice was Munawwar Ali of the Surma Valley, who moved a resolution in the Assam Legislative Assembly seeking the abolition of the line system saying that the immigrants made dense forests into ‘smiling paddy lands yielding all kinds of crops, bringing in prosperity, health and wealth to the province of Assam. The resolution was supported by Abdul Motin Choudhury of the Muslim League saying that the line system was ‘racial provocative’ not found in any part of the country. Maulana Bhasani’s position was slightly different. Being a peasant leader, he called upon all sections of the peasant communities to unite for a cause ‘ land must be available to all landless people irrespective of religious denominations and for better agricultural production. However, the said resolution was withdrawn after Rohini Kumar Choudhury, the revenue minister, gave an assurance to constitute a review committee to examine the details of the line system. During the debate on the issue on the floor of the Assembly, one could see the unity of the immigrant-origin legislators on the issue of the line system and also the political implication of the future of the immigrant politics in Assam. The 9-member Line System Committee, comprising members of the Assam Legislative Assembly, interviewed and examined cross of the society, government officials, and public leaders. Syed Abdur Rouf, representing the immigrants, strongly pleaded for the abolition of the line system, while the overwhelming majority of the interviewed persons wanted its retention to protect the indigenous people against the influx of the people from outside. The general consensus of the Committee was that the line system was a temporary mechanism created to check the unrestricted inflow of the immigrants into open areas and to protect the demographic composition against disruption and disturbance. It was recommended that ‘no land should be settled with immigrants coming to the province henceforward’. There were three dissent notes, which contained sentiments for the abolition of the line system and objection to the contention of the Committee which branded the ‘immigrants being undesirable neighbours’. The line system continued but it could not check the influx and settlement of the immigrants in various parts of Assam. The successive Saadullah and the Congress Ministries in Assam did not take any concrete steps in the matter of retention or abolition of the line system. The Congress Coalition Ministry published a policy on the line system on November 4, 1939 to evict the immigrant settlers from forbidden areas such as, village grazing land and forest reserves. It appeared that there was no tangible step to enforce the policy. In response to the notification of the government policy, Maulana Bhasani called for a Jihad on November 18, 1939 at the opening session of the Assam Provincial Muslim League held at Ghagmari. A conference on Line System was held on May 31, 1940. It suggested the introduction of ‘Development Schemes’ for the protection of the indigenous and backward people which the Saadullah Ministry had to accept implying thereby the retention of the line system. However, Maulana Bhasani called it ‘the safest bureaucratic method of shelving the question of Line System. However, at that point of time, PC. Datta, Advocate General of Assam, opined that the line system was not maintainable under the Government of India Act 1935. This gave Maulana Bhasani a leeway to disassociate himself from the Assam United Party headed by Premier Syed Saadullah and to reiterate his earlier demand for the abolition of the line system. He raised this question at the Conference of the Assam Provincial Muslim League held at Habiganj, Sylhet on January 30-31, 1941. The Maulana continued to campaign against the retention of the line system and providing settlement to the immigrants who came to Assam before 1938. With the formation of the Saadullah Ministry once again on August 25, 1942, Munawwar Ali, an ardent supporter of the immigrants’ cause and abolition of the line system, became the Revenue Minister. Under the new political arrangement, the line system was kept in abeyance within the ambit of ‘Grow More Food’. Subsequent developments such as demand for the partition of the country and instability in the ministry formation and functioning in Assam led to the retention of the line system, notwithstanding the continuation of the immigration of the peasants from East Bengal to Assam, making virtually the line system ineffectual. The whole controversy assumed communal, racial and linguistic complications with growing drift between the major Indian political parties Muslim League and the Congress on the issue of Muslim League’s move for Pakistan and the Cabinet Mission’s plan of grouping. The majority of the Muslim population both Assamese and immigrant Bengali Muslims rallied behind the Muslim League to safeguard their interest. The pro to nationalism of very few Muslims found expression in their demand for Pakistan and support in favour of inclusion of Assam under grouping number, C. To counter Muslims League’s move, the Hindus under various shades like Assaanrovincial Hindu Sabha, Assam Jatiya Mahasabha, AssamKachar’i Association, rallied behind the congress but more interestingly immigrant Muslim leaderships also came under Congress banner excluding only Moulona Bhashani. Thus the mass nationalism so far developed against the Alien Rule for national freedom was divided sharply. In spite of such polarisation, the In most significant fact is that the valley remained remarkably free of major communal riots except in 1950. Amalendu Guha, ‘East Bengal Immigrants and Maulana Abdul Hamid Khan Bhasani in Assam Politicis 1928—47. Indian Economic and Social History Review Vol—13, Oct. Dec 1976. M.Kar, ‘Wasteland Settlement Policy in Assam, 1826—1947′. Social Mirror, April June 1984. Social study Centre, Shillong, pp—33. Baden powell, Land Systems of British India, Vol—III Oriental Publication, Delhi 1974. Reprint pp—418. M. Kar. Quoted in op.cit.pp—19. Keya Dev, Quoted in, ‘Impact of Plantation on the agrarian structure of the Brahmaputra Valley‘. C SSS, Calcutta occasional Paper No.24. Foot Notes pp—9. Powell, Baden, Op.cit. pp: 403—418. Report of the line systenl committee, Vol.1, 1938, Shillong, 1938. Report of the line systeni committee, Vol.I, Op. Cit pp—27. . Ibid. Report of the working of the Assam legislative Assembly, 1937—45, Govt. of Assam, 1946. Why are Muslims in Assam still seen as outsiders?